​Colic is a term used to describe some type of abdominal pain. 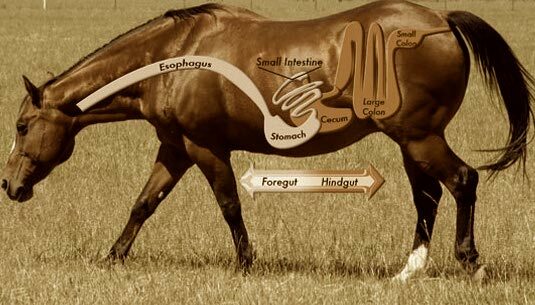 Colic is one of the most common causes of death in horses. Early diagnosis and surgical treatment of more serious cases of colic remains one of the most important factors in giving horses the best chance of survival following colic surgery. Horses are relatively sensitive to abdominal pain. This could be due to intestinal spasms, the gut wall being stretched by gas or feed material, the blood supply can be shut off to part of the intestine becoming entrapped in an abnormal position. Other conditions such as bladder stones, laminitis, or ovarian problems can appear to have similar symptoms as colic. These conditions can be very serious and should be evaluated thoroughly. Due to it being a potential life threatening disease especially moderate to severe symptoms of colic they will need immediate veterinary attention. In mild cases you can try walking them around for 10 minute if symptoms persist or become more severe contact your veterinarian immediately. The cause of colic and be difficult but if pain is persistent further diagnostics would be recommended. A physical exam along with auscultation(listening with stethoscope) of the abdomen. Rectal palpation to evaluate for abnormalities (gas distension, abnormal positioning of the intestine). Passing a nasogastric tube to evaluate for reflux from the stomach. Diagnostics for determining the type of colic would be ultrasonography of the abdomen, blood work CBC and Chemistry, and peritoneal fluid cytology. Many cases of colic that are seen in appropriate time frame by a veterinarian can be treated with analgesics and other medical treatments without needing to refer to a surgical center. Passing a nasogastric tube to administer fluids/electrolytes to help clear impacted feed from stomach or intestine. Analgesics to help control pain such as non steroidal antiinflammatories. Sedatives to help aid in diagnosis and to help with pain relief. Surgery may be required in 10% of cases of colic to save horses life. This decision is important due to the cost and prognosis of the type of colic surgery required. What can colic surgery achieve? What postoperative care is required following colic surgery? Colic surgery is only the first part of the process. Careful post-operative monitoring is vital to identify and treat complications that may occur following surgery, which are not uncommon in horses. Horses require intensive monitoring and treatment at a referall surgical hospital for around 7 days. Individual treatment plans are created for each horse that specify factors such as nutrition, fluid therapy, on-going tests, pain relief and antibiotic treatments required. Management is also tailored throughout horses recovery and any complications that may arise are treated in accordance with current best practice. Once discharged home, ongoing care such as stable rest is required for around 4 months to ensure they rest and allow the abdominal (belly) surgery site to heal.